People have been enjoying the health benefits of aromatherapy since the 11th century. 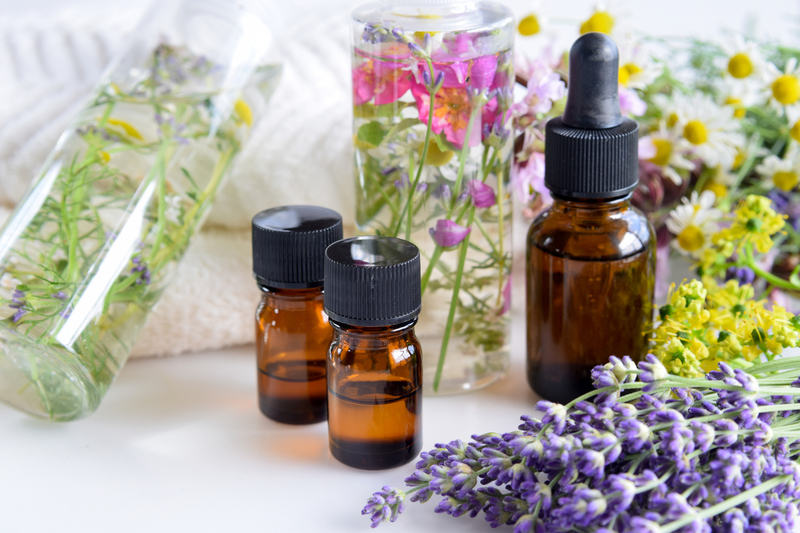 This alternative medicine uses essential oils to speed up the healing process, boost energy levels, reduce anxiety, and provide a multitude of other benefits. From France to England, China to the United States, aromatherapy is a viable solution to cure common daily ailments. Whether you need to reduce your stress levels or increase your digestive capacities, here are some common health conditions that can be treated with the help of essential oils. One of the most popular uses of aromatherapy is to help relieve stress. The aromatic compounds of many plants will soothe your mind and body. Some of the most common stress-relieving essential oils are lemon, lavender, ylang ylang, bergamot and peppermint. Did you know that aromatherapy can be used to control depression? That's right, instead of relying on pharmaceutical antidepressants, many homeopathic medicinal healers choose to use of an essential oil diffuser to provide an alternative treatment. Specialists recommend using lavender, jasmine, chamomile or peppermint. Memory loss is a widespread disease among the elderly. It’s a frightening experience to discover you’re no longer properly forming short term memories or recalling past events. Studies show that aromatherapy can be used as a supplemental treatment to help people recall memories and form new ones. A commonly used memory-enhancing oil is sage. Experts also maintain that people form strong associations between scents and memories. In a world driven by movement, we could all use an energy boost. Unfortunately, stimulants like energy pills, coffee or cigarettes will damage our bodies. While adopting a healthy balance of eating right and exercising, many people also use an essential oil diffuser to help put a little more pep in their step. Black pepper, clove, jasmine, rosemary and tea tree are the most common oils to help increase energy levels and increase circulation without the dangerous side effects of artificial stimulants. Essential oils can naturally assist the body's healing rate. These oils are known to increase blood flow and oxygen to wounds, which expedites the healing process. The oils also contain anti-microbial properties that help keep the body protected when it’s in recovery mode. The most popular oils for speeding up the body's natural healing process are buckthorn, calendula, lavender and rosehip. Whether it’s a debilitating migraine or a hangover, aromatherapy is a good homeopathic solution that will contain your headache and reduce the stress or anxiety that accompanies a headache. The most common oils used to cure headaches are sesame oils, avocado, coconut peppermint, rosemary, eucalyptus and sandalwood. Are you constantly feeling tired? Do you feel you don't get enough sleep each night? If so, then fear not, for once again aromatherapy is a proven solution that can help you achieve a balanced sleep schedule and have you waking up feeling rested and collected. These powerful natural oils can also help realign your Circadian rhythm. The most common oils for improving sleep are jasmine, chamomile, lavender, sweet marjoram and ylang ylang. Medical professionals agree that it’s far better to prevent than it is to treat. Take precautionary steps to prevent illness rather than falling ill and needing medications. To help you stay healthy and boost your immune system, use an essential oil diffuser to mix oils known for their antimicrobial effects. These oils are lemon, eucalyptus, oregano, frankincense and peppermint. Whether you have a pain in your foot or a pain in your head, aromatherapy provides relief for many ailments. Pain relief is one of the most common benefits of essential oil treatments. With the help of lavender, clary sage, rosemary, juniper or peppermint, you can alleviate many aches and pains. Aromatherapy treatments are used to aid digestion. Citrus oils can successfully resolve common digestive conditions. From easing constipation to eliminating bloating, these oils are also used to speed up your metabolism so that food is digested faster. The most common digestive improvement oils are ginger, chamomile, clary sage, lavender and fennel. Talk to your medical provider or a homeopathic doctor about how to incorporate a diffuser to receive numerous health benefits. Whether you need to boost your energy levels or improve your memory, essential oils deliver long lasting benefits that promote a healthier life.